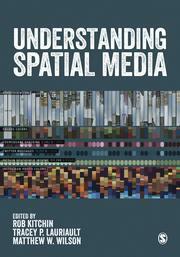 Understanding Spatial Media came out this year. It was fantastic to work with the Editors Rob Kitchin and Matthew Wilson as well as all of the authors of the 22 chapters. The book provides an excellent overview of the domain, and the first chapter in particular, primarily written by Rob, situates the what Spatial Media are and critically discusses the practices and the discourse. We are moving into a new era, and I think it will be a machine/sensor/smart/autonomous/data based spatial media. Lets see! This was part of a talk given at the 2016 Data Day 3.0 held by the Institute for Data Science at Carleton University. The research for the studies discussed in these slides was funded by a European Research Council Advanced Investigator award ERC-2012-AdG-323636-SOFTCITY. I would like to express my gratitude to Ordnance Survey Ireland (OSi), Dublin City Council and the Open Data Community in Ireland for generously sharing their knowledge and time. The research for this paper was funded by a European Research Council Advanced Investigator award (ERC-2012-AdG-323636-SOFTCITY. I would like to express my gratitude to all at Ordnance Survey Ireland (OSi) for generously sharing their knowledge and time.